The Zonal coordinator , NEMA, North East Zone, Alhaji Bashir Idris Garga has called on motorists and the general public to be vigilant in this yuletide season to prevent accidents on highways and ensure hitch free celebrations . while wishing Christian faithfuls a hitch free Christmas celebrations. 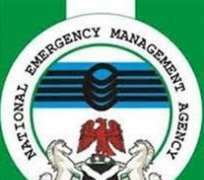 The Chief Information Officer, NEMA Zonal Office Maiduguri, Abdulkadir Ibrahim said Monday that he also called on communities to report any suspicious individuals or activities to appropriate security agencies to prevent attacks due to the security situation in Borno and Yobe States. Alhaji Bashi further urged the people to be more careful in this harmattan season and provided fire safety tips and general awareness on the need for the public to be proactive on the issue of precautions to prevent fire out break in IDPs camps and host communuties. Operation Eagle eye is an annual event organized by NEMA in collaboration with other relevant stakeholders as part of preparedness and disaster risk reduction activities to ensure effective response during the yuletide.